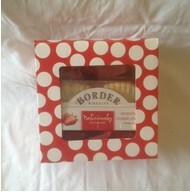 Although our head office is now located in Sanderstead, Surrey, we started the business in 2009, with a shop that was located in the small Sussex town of Steyning, nestled under the South Downs with it's old streets full of timber framed historical buildings, The Biscuit Box could be found in the Cobblestone Walk. The Biscuit Box was incorporated into the mail order side of the business when The Old Bakery Tea Rooms were opened in Cobblestone Walk. 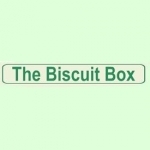 However, we soon realised that the Biscuit Box needed to be re branded as thebiscuitbox.co.uk and relocated to Sanderstead Surrey. 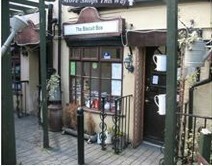 We offer a service for retail and trade customers. And gift wrap items as required, which is an inexpensive way to say thank you. Ask about our monthly biscuits by post service. Operates like a monthly magazine subscription service. 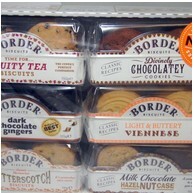 The Biscuit Box is a shop where we provide mainly Border Biscuits and our own range “old Bakery biscuits and scones. 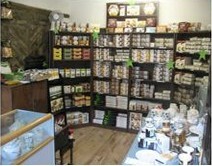 We offer a range of baking products and a wide range of mug and coaster sets for all occasions. thanks for the gift wrapped biscuits!